A Dog’s Best Friend is South Florida’s oldest positive reinforcement dog training company, established in 1994. While other companies and trainers have come and gone, A Dog’s Best Friend has continued to expand its programs, offering modern solutions based on an effective, scientific foundation to common canine behavior issues. We were the first in the area for several innovations, including the first to offer positive Puppy Kindergarten in the area, as well as the first to have nationally accredited certified trainers through the Certification Council of Professional Dog Trainers. We have the education and expertise to help you with simple behavior issues to serious ones. We train everything from puppies, to dogs with fear and aggression, to therapy and service dogs. A Dog's Best Friend is owned by husband-and-wife team Tim Mullally and Teoti Anderson, both certified professional dog trainers. The president and founder of A Dog’s Best Friend, Tim has been a professional dog trainer for more than 26 years. He previously served as the Corporate Training Director of a major dog training franchise in South Florida, supervising up to 20 trainers in five field offices. Tired of the consistently negative approaches to dog training, he launched A Dog’s Best Friend in 1994 with a focus on modern scientific methods. Today, A Dog’s Best Friend is South Florida’s oldest and most reputable positive dog training company. 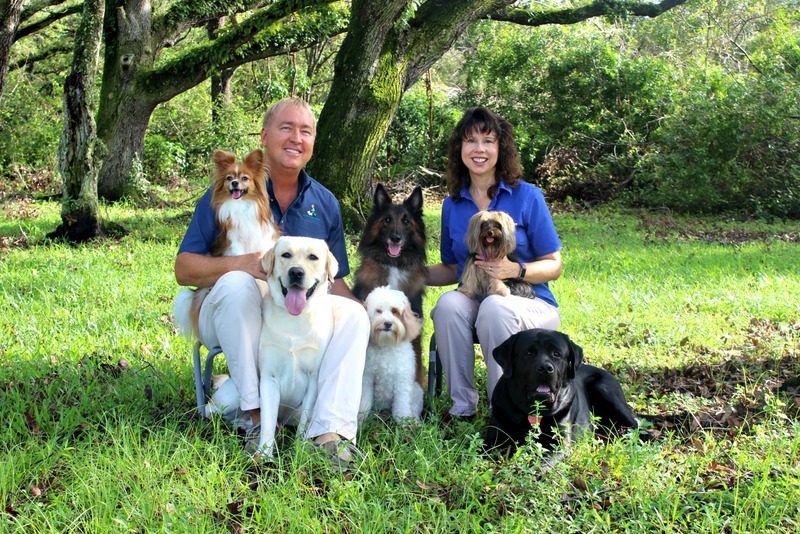 Tim was the first Association of Professional Dog Trainers (APDT) member in South Florida, and helped run the organization’s conferences for many years. Tim is also certified by Purdue University in Puppy Development, Problem Prevention and the Treatment of Behavior Problems, and has studied under Bob and Marian Bailey. He has also been a guest lecturer at the Animal Fanciers’ Club of Tochigi, Japan. He is a member of the International Association of Animal Behavior Consultants (IAABC). Tim has created modern training programs for several humane societies and frequently consults with local and regional rescue groups. He also helped design the first three dog parks in Broward County, FL. Tim specializes in working with extreme behavior cases, including fear and aggression. Teoti Anderson is the vice president of A Dog’s Best Friend. A professional dog trainer for more than 21 years, she is the author of The Dog Behavior Problem Solver, DogFancy Ultimate Guide to Dog Training, Animal Planet Dogs 101 Dog Training, Puppy Care and Training, The Super Simple Guide to Housetraining, Quick & Easy Crate Training and Your Outta Control Puppy. She also is a regular columnist for Modern Dog magazine and has appeared in Southern Living, New York Times, DogFancy, Puppies USA, Whole Dog Journal and other national publications. She hosts a radio show, Get Pawsitive Results, on Pet Life Radio (www.petliferadio.com). A popular conference speaker, she has given presentations to pet owners, humane organizations and fellow trainers across the United States and in Japan. Teoti has extensive education and experience in working with a variety of canine issues, including serious cases of fear and aggression. Teoti served as President of the Association of Professional Dog Trainers (APDT) and is a member of the International Association of Animal Behavior Consultants (IAABC). She serves as a consultant on canine training and behavior for local and national dog rescue groups. For more than 23 years, she has also served as a therapy animal volunteer with several great dogs and one special cat. Check out our Facebook page and YouTube channel.